Philadelphia's Mayor, Michael Nutter, announced Thursday that the city will borrow $50 million in order to reopen schools in the city by Sept. 9. The district's Superintendent, Dr. William Hite, has been given approval to start rehiring school employees (20 percent of whom were laid off) according to NBC Philadelphia. Employees were laid off due to a $304 million deficit. In a press release, Nutter said there were various ways to secure the $50 million, including grants, loans, or the purchase of school buildings and tax liens. Instead, a city borrowing plan will be used. "I believe this mechanism is the best way to immediately get these needed dollars to the School District with virtually no financial impact on our City," Nutter said in the release. According to NBC Philadelphia, the borrowed money will be repaid through a one percent extra sales tax plan. If the plan isn't approved, the money will be repaid through a general fund. 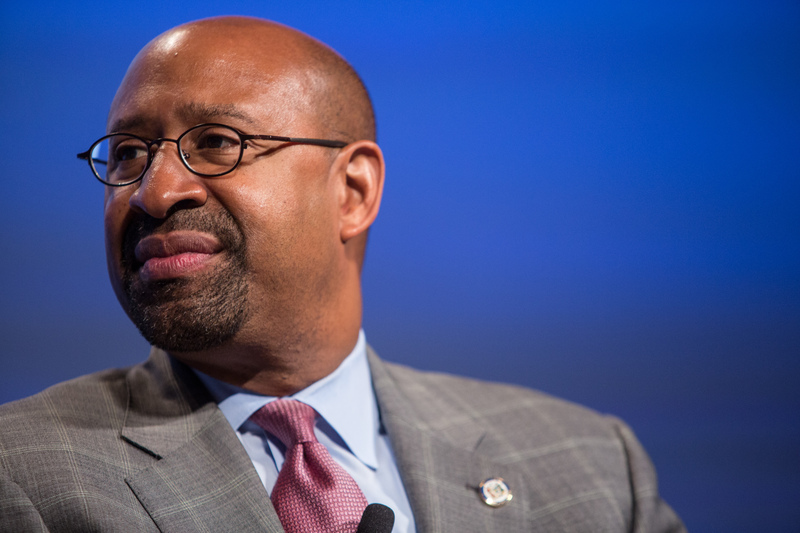 "We are taking these actions because Philadelphia children and their parents and their hopes for a brighter future are not going to be shattered by indecision, fear or doubt. As Mayor, it’s my duty to keep Philadelphia on track and moving forward and that’s what I’m doing today," Nutter said in the release. Nutter said he is committed to opening schools by Sept. 9. "Children are going to continue their education," he said. Dr. Hite issued a press release to thank Mayor Nutter. "...the $50 million will enable us to provide many crucial school functions and restore critical staff positions, including assistant principals, counselors and hallway, recess and lunch monitors...In short, this will get us closer to keeping the elements that make our schools quality educational facilities."